My ticket stub. Anyone else remember when BASS was our only ticket vendor? My first date with my husband was this Eric Clapton concert. He'd actually planned on taking the girl he was dating at the time. Then he met me. Yup. I was the "other woman". And we've been making beautiful music together ever since. Gag! Way too corny. I digress. Eric Clapton will be celebrating his 66th birthday on March 30th. Regarded by many as one of the greatest rock guitarists of all time, he is also the only musician ever to be inducted into the Rock and Roll Hall of Fame on three separate occassions: as a solo artist, as a member of The Yardbirds, and as a member of Cream. Born to a 16 year old mother in 1945, Eric's grandparents raised him and until learning the truth at the age of 9, he had been led to believe that his mother was his sister. The truth had a profound effect on him and he became withdrawn, angry, and lost all interest in school. Learning guitar at the age of 13 gave him a much needed focus and he immersed himself in the blues focusing on American pioneers B.B. King, Otis Rush, Muddy Waters and Buddy Guy among others. In October of 1963 he joined The Yardbirds for a short lived 18 month tenure where he earned his first nickname, Slowhand. 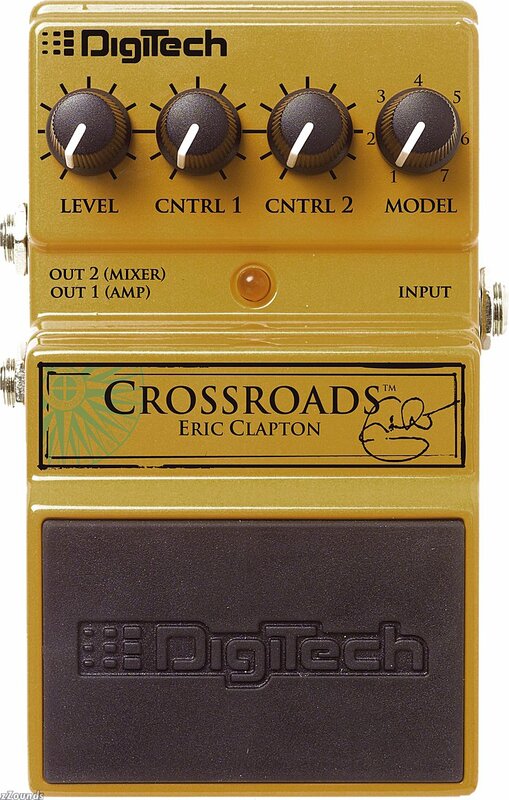 As the band moved towards a more commercial sound than the blues Clapton loved, he left the band. 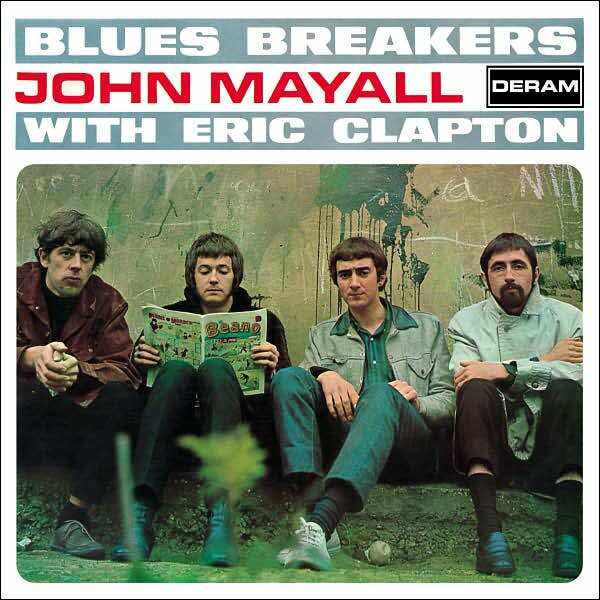 Next up was John Mayall's Bluesbreakers and his second nickname, God. This next video shows the wall scrawl proclaiming Clapton is God, and well, the rest is history. Listen to this man wail- some of the best playing out there to this day. Leaving Bluesbreakers to form Cream with Jack Bruce and Ginger Baker in 1966 elevated Clapton to superstar status. This once again short-lived tenure was only a two year span but provided us with some of the most iconic rock songs ever recorded. Massive egos and constant fighting led to their demise. But the songs....oh, the songs...Ironically, in most of the footage available from those days the camermen focused on Jack Bruce, who sang lead on most of their songs. Sunshine of Your Love- Cream's only gold record in the U.S. Strange Brew- Featuring Eric on vocals rather than Jack Bruce in his usual lead singer position. I Feel Free- the first track on their U.S. debut album, Fresh Cream. Tales of Brave Ulysses- This song featured the first recording of a wah-wah pedal in rock music. White Room- interesting to note that each line in each verse is exactly four syllables. Eric, in his own words. 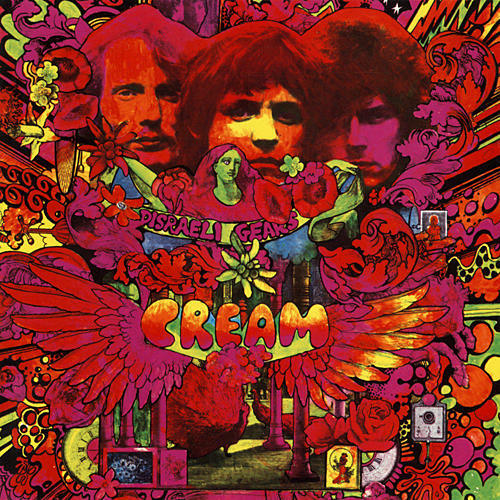 Famous last words: "Cream is the perfect band." Following Cream's break up in 1968, Eric founded Blind Faith with Steve Winwood, Rick Grech, and Cream drummer Ginger Baker. Following what seems to be a pattern, this group only lasted one year. Too bad. I loved their sound. Can't Find My Way Home- the newly formed Blind Faith from Hyde Park playing their very first live gig in front of 100,000+ people at a free concert. 1970 brought us another Clapton formed band, Derek & the Dominos. Who doesn't know Layla? One year committments seem to be the norm in his career. The band broke up after one album and one tour and Eric began a tailspin into heroin addiction. Layla- A later version, but oh, so good. Over 16 million hits on this video. I love the interview with Johnny Cash after the performance is over and the jam with Carl Perkins. Bell Bottom Blues-Written for Patti Boyd after she requested Clapton get her some bell bottoms from the USA. I used to wear Super Bells-remember those? Overcoming his addiction Eric tumbled into the bottle and became an alcoholic, a disease which plagued him for many years. Finally sober for good in 1987, his newfound health propelled Eric Clapton into a burgeoning solo career that carried him through the decades. Wonderful Tonight- So sweet and lovely from the Slowhand album. Tears in Heaven- A song written after the tragic death of his four year old son, Conor, it brings tears to my eyes every time I see him play it. Crossroads- An album, a song title, a state of mind, a guitar festival and eventually a treatment center built by Clapton helping others that need help with their own demons. Change the World- This song won 3 Grammy Awards the year it was released: Record of the Year, Song of the Year, Best Male Pop Vocal .